Each player has his own obstacle course that his figure must run. To run the course, the player must collect the right terrain cards - in the right order! But this is not an easy task, as all players are racing to get the cards they need at the same time. 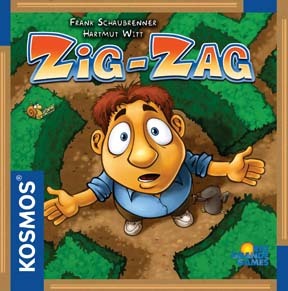 The game is played in rounds consisting of a terrain collecting phase and a running phase, which are repeated until one player's figure reaches their goal card.